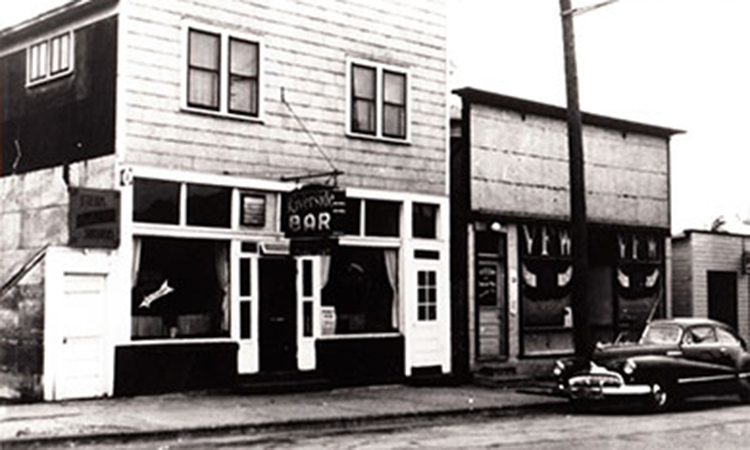 Brothers-in-law, Nello Silvestrini and Leonard (Bob) Scalcucci, opened the bar (originally named Dina Mia) in 1946 upon returning from WW II. After running the bar for several years they decided to add food. Having traveled to other parts of the country and having pizza and loving it they decided to serve it at their bar. They put their heads together and worked out their own original recipe for this tasty Italian snack. 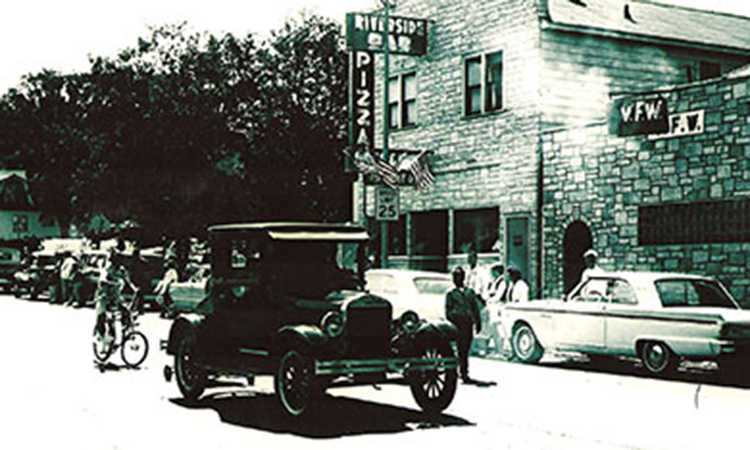 In 1988, Tom Fritz, Sr. and his wife, Sue, bought the Riverside Bar and Pizzeria and a new generation of family tradition began. Using the very same recipes Tom and Sue continued the quality and tradition of the Pizzeria, while putting their own touches on the décor of the dining area, adding TVs, filling the walls and shelves with Packer, sports and early brewing memorabilia. Currently the business is run by the 2nd generation of Fritzes, Tom Fritz, Jr. and his wife, Susan continuing with the same sense of quality and tradition. Some of their additions have been new toppings; fresh mushrooms, fresh green pepper and pineapple, local craft tap beer and gluten free versions of the famous pizza. 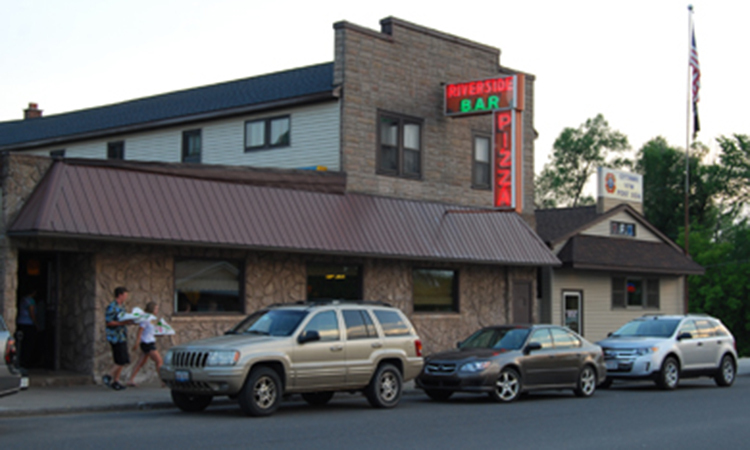 Bring your family and friends for a night out at the Riverside Pizzeria in Iron River, Michigan. Sausage Supplier and Sister Company located in Iron River, Michigan.